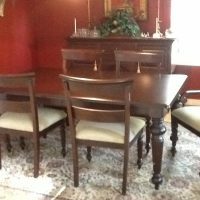 Ethan Allen dining set. 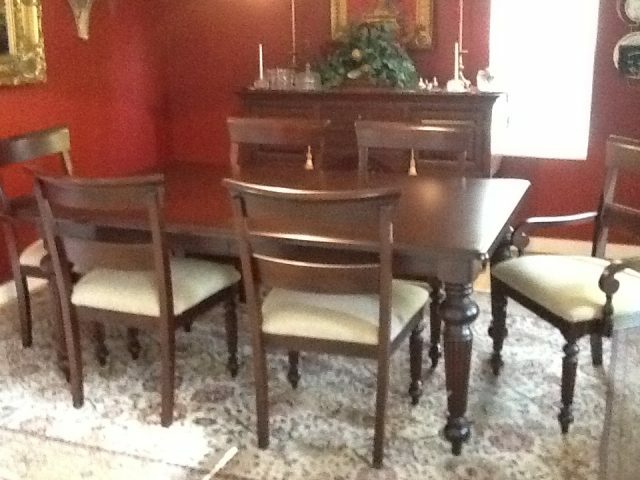 4 chairs and 2 captains chairs. Set 6/ 8 with leaf. Originally $2700. Great for family gatherings. Ready to go.